Shooting Live 2019 – Vertical Shooting Night was held on 02/21/2019 at AREA in Tokyo’s Takadanobaba. 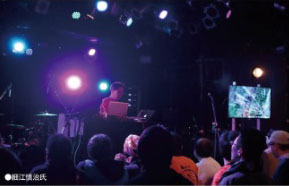 This event was the second in Famitsu’s series of concerts (following the first one that was centered around pixel-drawn RPGs), and was centered around vertical scrolling shooters. There was a live music section featuring performances by two bands that know the sounds of an arcade better than anyone, a DJ set featuring wonderful composers, and a talk segment featuring some shooting game-loving celebrities. We’re bringing you coverage of this event that was packed full of shooting love. Shinji Hosoe, Daisuke Matsumoto, and Manabu Namiki all were part of the DJ set. 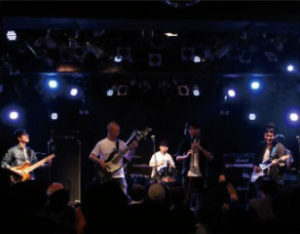 Hosoe was up first, and produced a set centered around Under Defeat and Prismatic Solid. With songs that all had a hard techno sound, the crowd danced around and enjoyed the music coursing through their entire bodies. 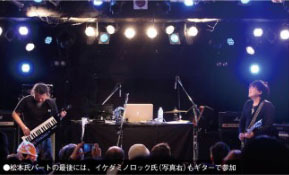 Matsumoto’s set began with “Stage 1 & 4 BGM” from DoDonPachi, and was a set-list that featured songs from past Cave titles. 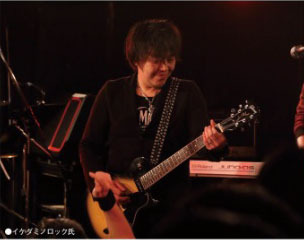 The chorus was belted out by Matsumoto himself, and he wore layers of related T-shirts that he gradually removed during the performance. And Ikeda Minorock came out for the last song! Then Namiki rounded out the DJ set, with his portion based around the history of vertical shooters. It began with Space Invaders, and was a moving set-list that went through the history of the genre. As we approached the later half of the event, Sato Go Band (lead by Go Sato, who worked on the music for the Raiden series) came on. They performed a Konami medley, which included “Deta na TwinBee” (from the game of the same name), “Unkai wo Koete” (also from Deta na! TwinBee), “Twin Flight” (from TwinBee Yahho! ), and “Fly High” and “Starfield” from the vertical scrolling stages 2 and 4 of Salamander. 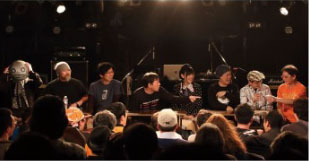 Sato Go Band conveyed the feelings of these bygone titles through music in a way that only they can, and the venue really went crazy for performances of these oldies but goodies! Then to close things out was Heavy Metal Raiden. 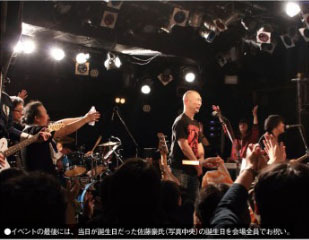 This band features Ikeda Minorock (owner of Mikado arcades), WASi303 (Psyvariar, Aka to Blue), and the previously mentioned Go Sato as well. WASi303 has composed the music of Aka to Blue with a rock sound, and they played four songs from this new title which featured very technical guitar solos from Ikeda Minarock. For the last song they performed a very high tempo version of Go Sato’s own “Can’t retrace”, from Raiden IV! It closed out the event with an incredibly high level of energy! Stories Of Composing Important Songs! The talk segment featured a conversation with several legendary composers of shooting game music, ZUN (creator of the Touhou series of shooters), Yoko Taro (creator of the NieR series), and voice actress Miyu Takagi. 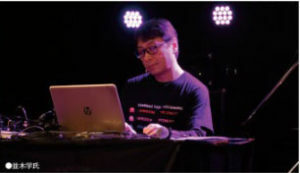 The talk was themed around important things to consider when composing, and Manabu Namiki offered up his own composition theory: “I compose the music for final stages in shooting games to convey a feeling like a small boy were running through a forest crying. I think it might convey a sort of emotion of being scared but gearing yourself up for the final battle”. Prefacing his statement with “I know this is supposed to be about vertical shooters, but…”, Katsuhisa Ishikawa stated that “The sound in Darius Gaiden has a lot of echo on it, but the music for the final stage was given a bit of a different sound than the rest of them. I like to celebrate the feeling of “making it this far” that’s found in shooters using music and sound effects”. Yoko Taro, a big Ikaruga fan, also made the crowd laugh by admitting that it has an influence on his own work: “Often the timing between a game and its music get out of sync as work progresses during development. Ikaruga is a rare title in which the music and the game fit perfectly together. It really had an impact on me when I played it, and I completely ripped it off (Laughs)”.